All the products, plans, health articles and weight loss challenges on the Lose Baby Weight website have been created by leading nutrition and fitness experts. Kathleen Alleaume is a trusted health expert in the field of nutrition and fitness. 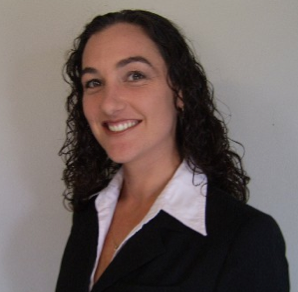 She is an Accredited Exercise Physiologist and Nutritionist, has her B.S. 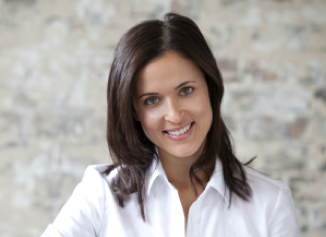 degree in Exercise Science and a Master’s degree in Nutrition, and the founder of The Right Balance Consultancy Ltd.
She operates a private practice in the Sydney CBD counselling a range of clients from sports enthusiasts to business professionals. Kathleen works consistently with the media where she makes regular TV and radio appearances, and is a regular contributor to Body & Soul, Australian Healthy Food Guide, Australian Women’s Weekly and Marie Claire. Lecturer in post grad physiotherapy course on Exercise for Women at Curtain University ( WA) and Melbourne University. With 8 years experience Pilates, Sol has a diverse sports background spanning gymnastics, dance, yoga, martial arts, basketball, fencing, running and cycling and is a core exercise expert. Sol holds certifications in Stott Mat and Reformer Pilates, Pilates, Cardiolates, Pelleres, Fitness and ensures through constant continued education and research ensure the Lose Baby Weight mums are inspired to exercise and look after their minds and bodies in a more holistic and safe way. Her body of work includes training with Paraolympic gold medal swimmer Ben Austin and the Wests Tigers, Core Isolators DVDs, covers and spreads in well-known magazines such as Australian Women’s Weekly, Marie Claire and Cosmopolitan and appearances in movies and on TV including Today Tonight, Nine News, Kerri-Anne Kennerly and the popular Fernwood health club. Amanda has worked with corporate companies on varying ranges of food products and categories with product development, legislation, nutrition, importation, training, food safety and quality assurance. Amanda has also been involved in nutrition promotion and education through a range of mediums including private workshops on child nutrition, cooking workshops with underprivileged children, newspapers, local and national magazines and websites on a range of food science and nutritional issues. Her passion revolves around real, honest and simple nutritional information especially around the content that can benefit maternal, family and childhood nutritional matters. Amanda is thrilled to be involved with the Lose Baby Weight and the Healthy Mummy team and helping the many women (and families) benefit from such simple programs, plans and information. Elisha is a Qualified Nutritionist and Weight Loss Consultant who graduated with an Advanced Diploma in Nutritional Medicine from the Australian College of Natural Therapists, Sydney. Elisha is passionate about helping people achieve their goals through a whole food diet. 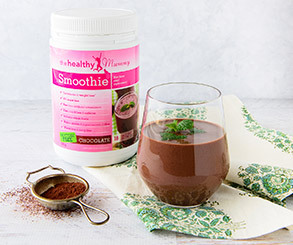 She believe everyone is an individual and strongly believes in Organic foods, free of genetic modifications, hormones and additives to achieve optimal health. Elisha is always looking at new research to do with antioxidants and ensures she is the guinea pig before recommending anything to any clients. She is also passionate about fertility health and believes a healthy body is a fertile body and loves to help give couples the gift of parenthood through awareness in their diet and also their environment. 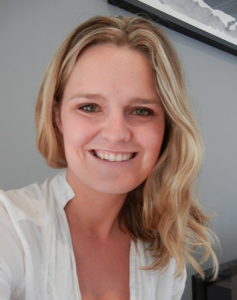 After completing her Bachelor of Health Science Degree (Complementary Medicine) at Charles Sturt University and gaining extensive industry experience working in a regulatory capacity with a leading pharmaceutical company and nutritional brand, Rachael formed Rachael Keenan Consulting. Entering regulatory affairs consulting from a naturopathic basis has allowed Rachael to work with a wide range of new and leading complementary healthcare companies to formulate the best possible products within the current regulatory requirements. Rachael’s Naturopathic and nutritional training allowed Rachael to choose the best possible protein sources, nutrients, herbs, enzymes and plant foods as ingredients in The Healthy Mummy food range in order to provide a complete meal replacement to support your nutritional requirements, as well as those of your breastfed baby. Marissa is an established personal trainer and sought after nutrition, fitness and life coach. She can be seen in numerous print, editorial and television campaigns and is dedicated to the field of health and fitness and passionate about helping mums achieve a strong and healthy body post pregnancy.